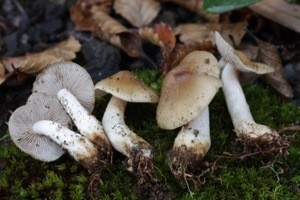 trait evolution, and patterns of diversification in mushrooms. Besides the presentations, good food, beaches, hanging out with old and new friends, and mingling and meeting scientists the world over, Brandon was able to catch up a bit with former members of the lab. 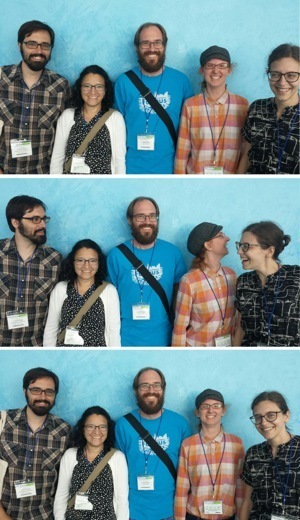 See Brian Looney - postdoc at Duke, Marisol Sánchez-García - postdoc at Uppsala, Martin Ryberg - professor at Uppsala, Emma Harrower - back in Vancouver, BC, and Rachel Swenie - current PhD student. Former lab students/postdocs not shown include Joshua Birkebak and Hailee Korotkin. Mycologia (Nov/Dec). The issue will contain our now accepted sytematics study on pyrophilous species of Pholiota from North America. Enjing, a professor at Jilin Agricultural University, is visiting the lab for a year through next September to study molecular phylogenetics of the genus Pholiota, with an emphasis on east Asian collections. The types of Pholiota sequence quite well, so we’ll continue that line of work in combination with production of a multigene phylogenetic treatment of Pholiota, which is not a monophyletic group. Check out the cover - Rickenella minuta - of the Nov. issue of AJB. This issue includes Hailee’s Master’s thesis on use of stable isotopes and phylogenetics to uncover greater functional diversity in the Hymenochaetales. Rachel and I made it back from the IMC in San Juan, Puerto Rico. Great meeting and good symposia on Gondwanan macrofungi, dark taxa, fossil evidence of early-diverging fungi, species recognition in the age of genomics, tropical ECM fungi, and good talks from the likes of Tom Bruns on fungal community ecology and others. Excited about the launch of the ‘1000 Fossil Fungi Project’ by Christine Strullu-Derrien! Helen Law is an undergrad EEB student who received a summer internship to explore whether evolutionary shifts to deliquescence (self-lysis), a novel means of spore dispersal, has resulted in increased speciation in the mushroom family Psathyrellaceae. Helen is creating her own dataset to address this question and will present the results of her work during fall semester at a campus poster presentation. You can see Helen in vivo on the People page. Thanks to the dedicated work of undergrads Rosy Harpe and Emily Price, we will have now amassed database records from some 1200 specimen-vouchers of macrofungi from the greater Knoxville area in MycoPortal (see Label Project EEB351). These records accumulated based on collecting efforts of students in Brandon’s class Biodiversity of Fungi (EEB 351) over the past 10 years. We can conservatively estimate at least 400 species from this effort, but the number is surely higher. In any case, this will be the starting point for the creation of a flora of mushroom-forming fungi from the Tennessee River Valley, which Brandon will begin drafting this summer for future use in EEB351 and the public in general. This year’s MASMC was hosted by Meredith Blackwell in Columbia, South Carolina with a foray at Congaree National Park. There was a slate of diverse talks and posters on fungal biology ranging from pathogenesis, bioinformatics, evolution, ecology, herbaria, floristics, and mycorrhizal biology. Knoxville will be hosting MASCM in 2019! We have two small grants from the Hesler Endowment Fund this year, one to support an undergrad researcher, and the second to support examination and sequencing of pyrophilous Pholiota collections in the herbarium. The first of these grants was awarded to an EEB undergrad, Rosy Harper, who, together with another EEB undergrad, Emily Price, are databasing the entire EEB351 Biodiversity of Fungi student collection. This collection probably includes some 1200 specimens, most of which are from the Tennessee River Valley. Of these we will barcode with ITS molecular data some 100 samples. 180 ITS barcodes of the student collections are already released on GenBank. The second project will enable us to barcode ITS from numerous types and other historical collections of Pholiota, most of these from known pyrophilous species. To date we can now point conclusively to four pyrophilous Pholiota from North America - P. brunnescens, P. castanea, P. highlandensis, and P. molesta. All of the holotypes at MICH have been sequenced as well. The oldest of these collections that we successfully sequenced dates back to 1934 (a collection of P. castanea). Can we sequence a portion of the ITS from the holotype of P. highlandensis? This was described by Peck and is even older. Matt Smith visited the lab for a week sponsored by a SEC travel grant award. 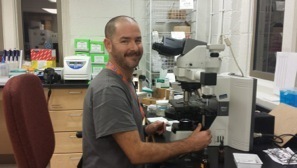 Matt is a professor in Plant Pathology at the University of Florida and is also the fungal herbarium curator. We spent quite a bit of time in the field raking for truffles, Hebelomas, Cortinarii, and unusual things (to us) like ECM root tips and stunning resupinates. Matt also showed us how to look for and collect nematode-trapping fungi in the Orbeliales. Pretty cool stuff! Matt also gave a departmental talk on the biology of the Pecan truffle, Tuber lyonii. Peter Kennedy, from the University of Minnesota, visited our department and gave a research talk on the ecology of host-specificity in Suillus. During Peter’s visit we were able to collect several species of Suillus that associate with 2- and 5-needled pines in east Tennessee. At last the book is out. 592 pages. Cover to the right. I started work on this book 16 years ago. Look at those spores on the cover... almost psychedelic. Rachel Swenie, who will begin fall 2017 as a first-year PhD student won a prestigious fellowship from the National Science Foundation, which will provide her three year’s worth of stipend support. Rachel’s research thus far has demonstrated much greater taxonomic and genetic diversity than anticipated among species of Hydnum from North America. Congrats to Brian, Emma, and Hailee ! Brian and Emma completed their PhD degrees, and Hailee completed her Master’s degree. Brian is off to Nancy, France for a short stint, then off to Duke for a postdoc position. Emma will be returning to Canada at the end of the summer. The whole lab made it to the far north range of the North Island of New Zealand for the 31st N.Z. fungal foray. We were able to sample some cool Russulas, Inocybes, Corts, and a strange Rickenella species. Pretty neat to see two species I described from Australia where in N.Z. they occur under Kunzea... I. subferruginea and I. bulbinella. Also picked up something close to I. manukanea. Our lab research, all led by graduate students, has made the covers of four different journals the past year or so: Mycologia (evolution and dispersal of the Cortinarius violaceus group), Molecular Ecology (global diversity and diversification patterns in Russula), Evolution (diversification of the Tricholomatineae in their Jan. 2017 issue), and now Australian Systematic Botany (evolution of Australian sequestrate fungi). Kudos to Emma Harrower, Brian Looney, Marisol Sanchez-Garcia, and Biz Sheedy for leading these efforts. Photographers include Taylor Lockwood and Brian Looney. Teresa Lebel and Tom May put together the cover for the ASB paper by Biz. Marisol Sánchez-García will start a apostdoc position this summer with David Hibbett at Clark University. Marisol will be involved in studying fruitbody evolution across the Agaricomycetes and a phylogenomics project on Shiitake mushrooms. Marisol will complete her PhD thesis this spring on systematics and evolution of the Tricholomatineae (Agaricales). We wish her the best as she moves on to Worcester, Mass. Brian’s work on diversification, biogeography, and macroecology of a very taxonomically large genus, Russula, is out in the Jan. issue of Molecular Ecology. 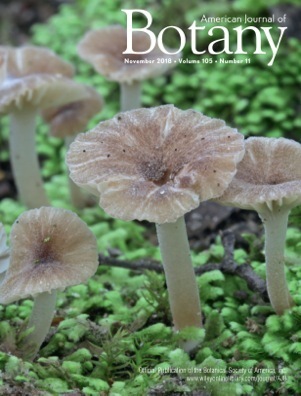 Brian even landed one of his pics of a Russula from Thailand on the cover. Yes! Brian Looney, fourth year PhD student, keeps raking in the grants and awards. This one is a one-year stipend that will support improving his research by providing access to facilities and expertise at the Oak Ridge National Lab. Brian will conduct this work in collaboration and under the tutelage of Jessy Labbe. Thanks to Taylor Lockwood for sharing the photo. Congrats to Joshua Birkebak for passing his PhD dissertation defense! Dr. J. will fine tune his last dissertation chapter early this summer and should be set to graduate in August. Hailee, a business admin post-graduate, has been accepted into our Master’s program here in EEB starting fall 2015. Hailee intends to investigate the nature of a moss-fungal interaction between Dicranum scoparium (the moss) and one of its fungal symbionts, Rickenella fibula. Hailee will hit the ground running as she has just over a year’s worth of experience studying this system. We’re all very happy to have Hailee now in our research program here in EEB. Brian Looney, Alexander Hollaender Graduate Fellowship Award and a Doctoral Dissertation Improvement Grant from the National Science Foundation. Ten of us involved in research here in east Tennessee made it over to Duke University for MASMC. Brian, Emma, Marisol, and Hailee all presented in a forum that is mainly geared towards graduate student research. We found a few morels in the Duke Forest, but things seem late this year. But everyone now knows of David Hibbett’s secret prized morel patches! 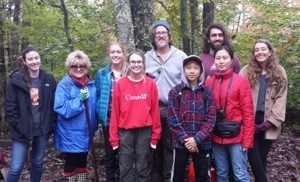 The journal Mycologia has accepted Emma’s manuscript on the evolution and distribution of species in the Cortinarius violaceus group, a rather charismatic group of species distributed throughout many parts of the world. Not only did Emma get this work accepted, but Mycologia wants C. violaceus on the cover of the issue in which the paper will be published! Congrats to Emma! Joshua should finish up his PhD this spring, and Emma looks to take her PhD candidacy exam. Brian will start a collaboration at the Oak Ridge National Laboratory in Jessy Labbe’s group. Marisol is refining her diversification study of the Tricholomatoid clade, and Hailee is getting gametophytes of Dicranum to grow for experimental treatment with the moss-associated fungus, Rickenella fibula. 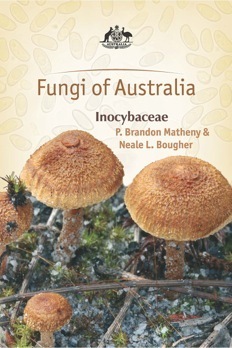 Brandon, in addition to teaching intro biology for 225 undergraduates, is revising the monograph of Australian Inocybaceae. One undergraduate, Joshua Rutland, and a postgraduate, Rachel Sweney, will get involved with our research group this spring. Almost everyone from the lab made it up to Seattle and the drive over near Mt. Rainier for this year’s NAMA foray in honor of Patrice Benson. Patrice was a neighbor of mine in the Mt. Baker neighborhood of Seattle (along with Ben Woo and Steve Trudell) when I was a grad student. Patrice died a few years ago when cancer tragically took her life. She was a real mover and shaker in the local club, the Puget Sound Mycological Society. Joshua took over the voucher program this year, and Hailee assisted. Brian and Marisol did some collecting. Brandon continued his book tour on Australian Inocybaceae and got to see some old haunts and digs in Seattle, plus eat at the amazing restaurant Sitka and Spruce. This inspired me to make my own preserved lemons! Brian passed his PhD qualifying exams. Members of his committee include Jessy Labbe, Karen Hughes, and Brian O’Meara. The Wildacres foray is perhaps my favorite foray of all. The mushrooms are good, the scenery can’t be beat, the food is more than adequate, and the Asheville and local collectors are awesome to work with. Emma and I (Brandon) gave talks on the Cortinarius violaceus group (their genetic diversity, phylogeography, and taxonomic diversity) and on Australian Inocybaceae, respectively. 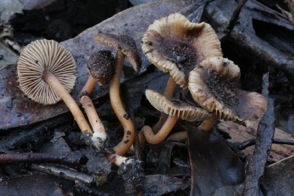 About 260 species of macrofungi were identified during the foray. Brandon was the keynote speaker at the NEMF Foray this year on the lovely campus of Bowdoin College. He gave a talk about evolution of ectomycorrhizal Agaricales. We are interested in the diversity and evolutionary history of mushroom-forming fungi. Please see our links to find out more about us, including research opportunities, teaching, and outreach. 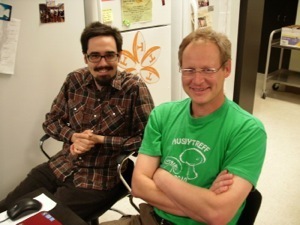 Brian Looney (left) with Slavomir Adamcik talking Russula taxonomy. 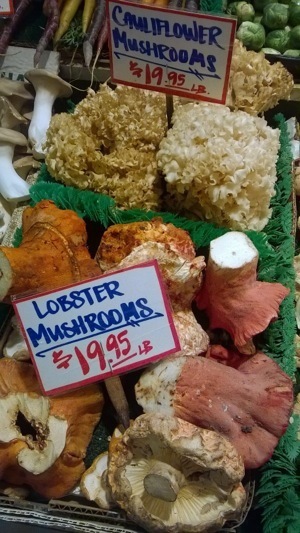 Wild edible mushrooms at the Pike Place Market in Seattle. Photo by Stacia Warwick. Oct. 2014. 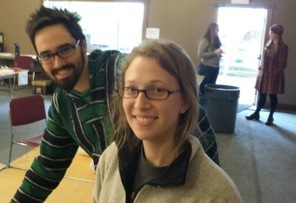 Hailee Korotkin and Brian Looney at the NAMA foray in Washington state, Oct. 2014. Hailee is the lab’s newest graduate student (entering fall 2015). 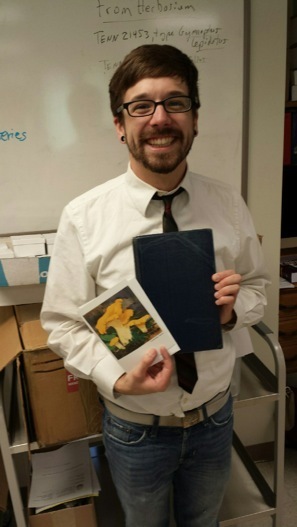 Dr. Joshua Birkebak, April 2015, holding up now his own copy of Corner’s treatment of Clavaria and allied genera. Thanks to Steve Trudell for the gift! Drs. 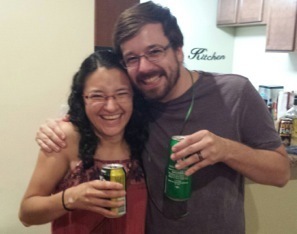 Marisol Sanchez-Garcia and Joshua Birkebak celebrate Marisol’s dissertation defense in Knoxville. 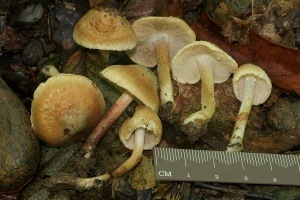 Pholiota psathyrelloides in Nothofagus forest of southern Chile. This is an ectomycorrhizal species that belongs to the recently described southern hemisphere genus, Psathyloma. 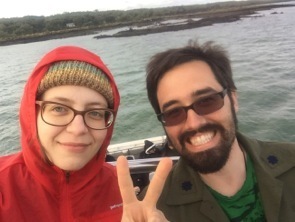 Rachel Swenie with Dr. Brian Looney traipsing around the south island of New Zealand. 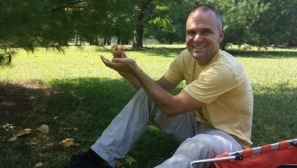 Peter Kennedy, a top notch ecologist from the University of Minnesota, with collections of Suillus at Big Ridge State Park, Tennessee. Matt Smith, truffle expert and all-around good guy from the University of Florida, in the lab during a week-long visit sponsored by a SEC visiting travel grant award. MASCM 2018 in Columbia, South Carolina. 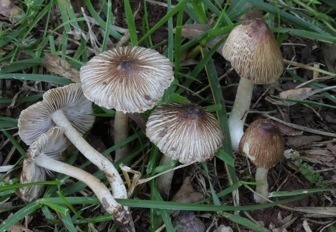 An undescribed blueing species of Inocybe from New Jersey collected by Linas Kudzma in sect. Lactiferae. Photo by L. Kudzma. The fungal diversity course (EEB461 - soon to be EEB420) along Ghost Loop Trail at Big Ridge State Park looking for mushrooms. Lobsters were the catch of the day! Photo by Rachel Swenie.